Here are a pair of pretty orchids which I painted against a deep blue and green background to make the colors pop. The orchids I used for reference were in the Foster Botanical Gardens in Honolulu. 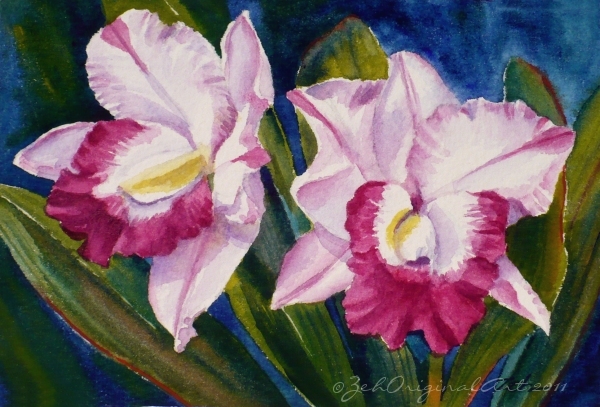 There are so many gorgeous varieties there, it can keep me painting for weeks!